Static Caravan Hire – Terms & Conditions. Please don’t book for parties of young people, As they will be refused access to the caravan, which can be upsetting for everyone concerned. 1. 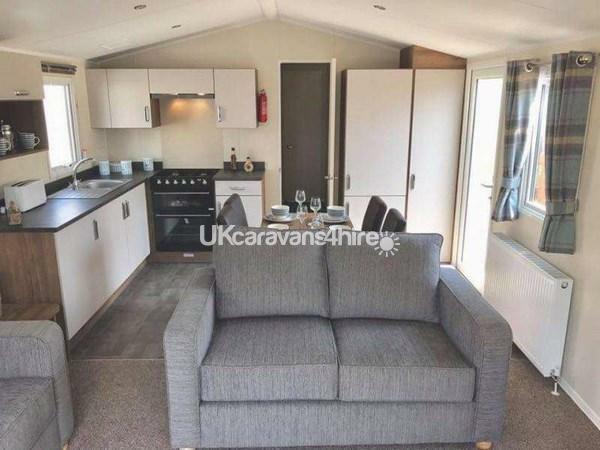 A provisional booking will be accepted by the caravan owners, subject to receiving a £50 deposit within 5 working days, this deposit could be cheque, cash, bank transfer. Upon receiving deposit, you’ll receive confirmation for the dates that you have now booked. Please note that ALL bookings are provisional until the caravan owners receive the deposit. 4. The hirer shall also pay a £50 refundable security bond. This bond is fully refundable at the end of the hire period and returned within seven days of departure date. The caravan owners reserve the right to withhold some or the entire bond and /or bill the hirer for the additional cost of: a) replacing and/or repairing all damage b) all breakages c) charge for cleaning the caravan or removing stains or replacing as new. ALL BREAKAGES, DAMAGE AND STAINS WITHIN THE CARAVAN MUST BE PAID FOR!! THE HIRER MUST INFORM THE CARAVAN OWNERS WITHIN 12HRS OF ARRIVAL OF ALL DEFECTS, INVENTORY SHORTAGES AND/ OR BREAKAGES. FAILURE TO DO SO WILL RESULT IN YOU, THE HIRER BEING RESPONSIBLE. 17. The holiday caravan maybe occupied from 2pm onwards on the first day of hiring. 18. In the case of a maintenance problem, the hirer shall contact the caravan owners. D.I.Y repairs must NOT be attempted. If the hirer does any D.I.Y repairs, then rule 4 will apply. 20. Smoking is NOT permitted in the caravan but ashtrays are provided for outside use only. 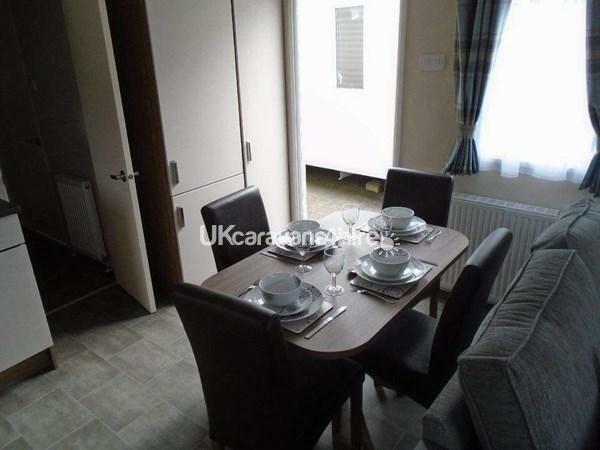 21.The caravan is to be left in a clean and tidy condition ready for the next tenants, due to inspection by staff. If not, then rule 4. shall apply. 23. The holiday caravan MUST be vacated by 10am on the last day of hiring. Ready for cleaner to check over. 24. No Prams/Buggies to be left open, and used in the caravans As this as been known to Damage Doors and Fittings. 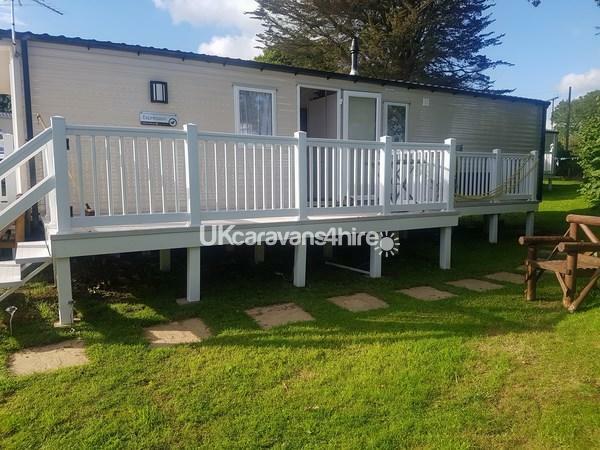 IF YOU ARE ASKED TO VACATE THE CARAVAN / HOLIDAY PARK BY THE HOLIDAY PARK OWNERS OR THEIR STAFF FOR ANY REASON WHAT SO EVER, THE CARAVAN OWNERS SHALL NOT REFUND ANY MONEY PAID. Welcome to our page, we hope you like what you see. 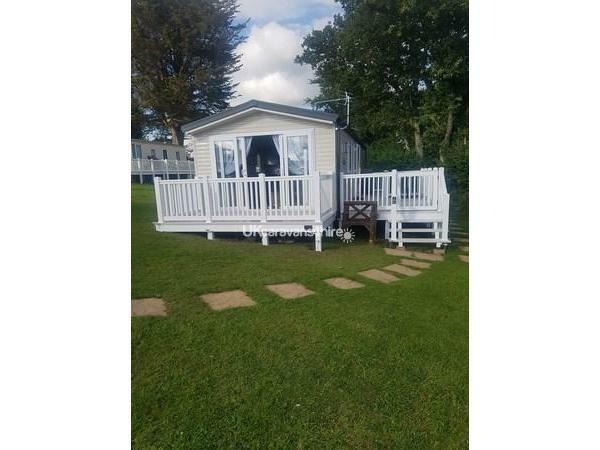 This is our 2017 luxury 6 birth holiday home with adequate parking situated on Looe bay holiday park in beautiful small fishing town of Looe, south east Cornwall. Our holiday home is situated in a quite part of the park with excellent views over the Cornish countryside. There is a large gated decking area on the side of the van which is excellent for entertaining. there is also a small enclosed decked area on the front which is accessed though the sliding patio doors. This small area is excellent for toddlers or just a couple to sit out with a glass of wine on a sunny evening. 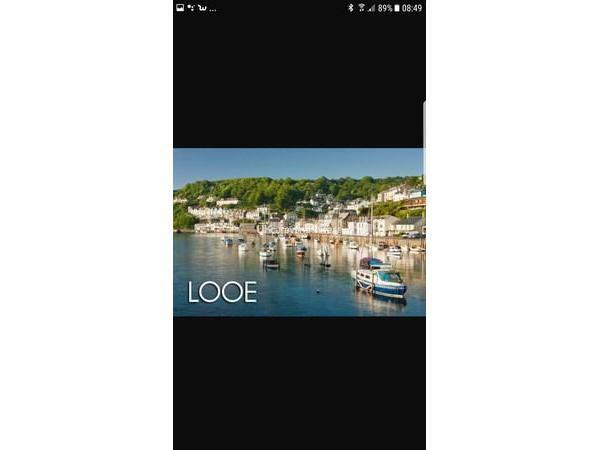 The park is situated 1.4 mile from Looe harbour and Looe beach or 1 mile from Millendreath beach, it is also only 1 mile from Looe train station. There is also a bus stop right outside the park with a very good service, with plenty to do in the local area the holiday park is well situated. 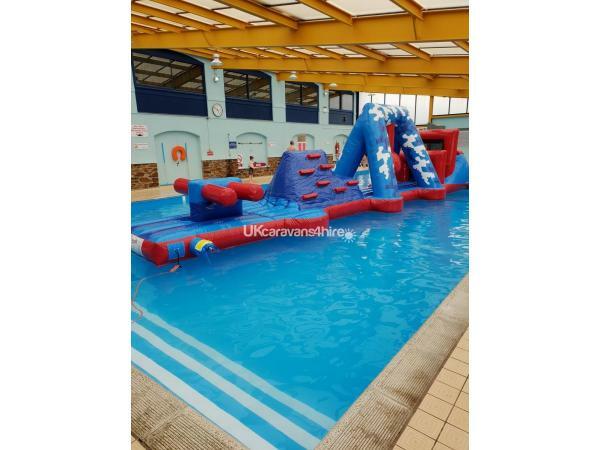 The park offers plenty of facilities which includes a heated indoor swimming pool, tennis courts, football court, basketball court, table tennis, outside games tables, crazy golf, adventure playground, soft play area. there is also a sun terrace with outside bar. There is also a laundrette, grocery shop and take away. Heading inside there is a large amusement arcade, cash machine, take away, Polperro bar and grill with darts and a T.V area that shows major sporting events. The main entertainment area where you can play bingo and enjoy the evening entertainment with some very good acts and has plenty of seating with excellent views of the stage. the kids clubs are also very good. We offer flexibility where possible with dates and a early check in of 2pm as standard. on the day of arrival we will aim to meet you where possible to help you with any questions that you may have. Check in is from 2pm and all guest receive our daily essentials welcome pack, beds will also be freshly made before arrival. departure is at 10am unless other wise agreed. We charge a £50 refundable security deposit that is refunded within 5 working days of departure. We do hope you like what you see and choose to stay in our van. we also offer discounts for returning guest. 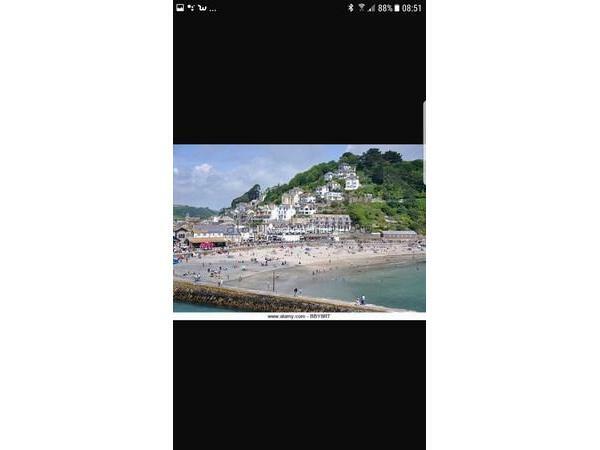 we also have a Facebook page.. looe bay caravan holidays andy and carina please add and keep an eye out for late deals. If I could give more than 10 for everything I would. Me and my partner wanted somewhere to relax and this caravan was perfect. Spacious, very comfortable, homely feeling, and it was just perfect. Andy was great with us before and during our stay. Any questions we asked were always answered promptly and thoroughly with no issues. I would highly recommend this caravan, it was so perfect we didn’t want to leave. We hope to be back soon. Thanks both! Had afew days pleasant stay ( cut short by work commitments) lovely atmosphere there. 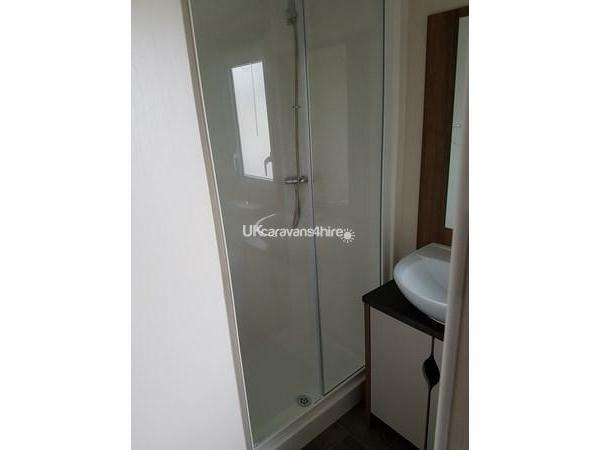 very clean caravan, everything you would need for your stay. Will be booking again for next year. 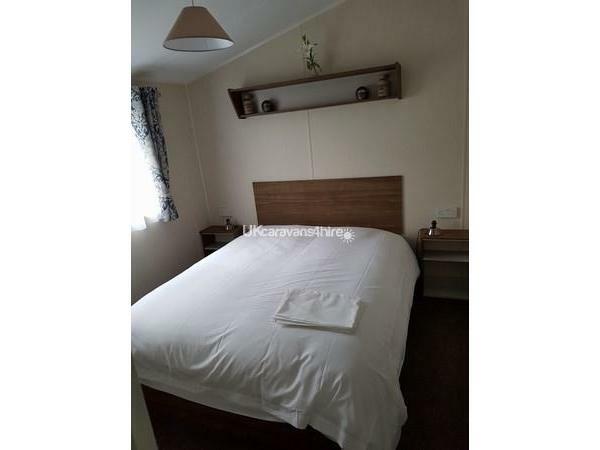 We had a lovely short break in this comfortable clean and well equipped caravan. Very easy to book and owners lovely to deal with. Definitely recommended. We have stayed in many caravans before but nothing compared to this holiday home. A stunning caravan with everything you will need. 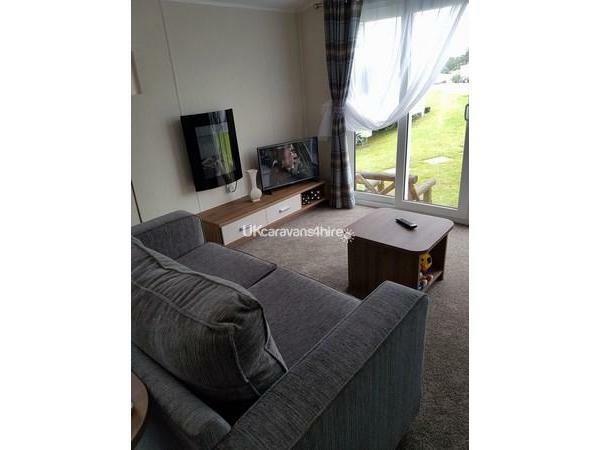 this caravan is situated in a quiet spot within the park. 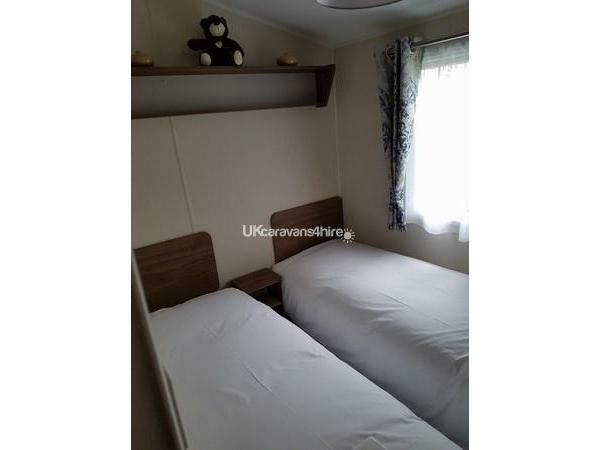 The communication with the owners was spot on if you have any queries they will respond immediately We'd have no hesitation in recommending this caravan. We have just come back from a short break in this caravan, situated in a quiet spot within the park. Self catering was so easy for us as the owners have supplied everything you need in the kitchen and the décor and comfort of the entire van is 2nd to none. From the initial enquiry with the owner, through to the booking and the 4 night stay, all was top notch. We would highly recommend this caravan to friends, family and others. As a family we've been to various caravan/lodge parks across Cornwall, Dorset, South Wales, Sussex and Norfolk in the past few years. We've been to Looe Bay before and loved it, so we were keen to return. I was initially slightly apprehensive about booking directly with a caravan owner, having always booked via Parkdean/Haven in the past. I really needn't have worried! Andy was a pleasure to deal with. He responded quickly to all my messages, was flexible with dates and offered us a very reasonable price for our 8 night stay. The caravan is simply stunning - nicer than any we've stayed in before. It really is a home from home. It has everything - iron, gas BBQ, walk in wardrobe, even a slow cooker! We will definitely be asking to come back again next year. We'd have no hesitation in recommending this caravan - we've already told our friends that they need to book up! Thank you Andy and Carina for a fantastic holiday. We had a wonderful week in this beautiful caravan in a lovely position on the park. The side decking offers a good level of privacy and a lovely rural outlook. The caravan is well equipped with everything you need and the bed is comfy. Communication from the owners was always prompt and informative. I would recommend this caravan for families with younger or older children and couples alike.